Can You Sue Your Plastic Surgeon if You Do Not Like the Results? If you recently underwent plastic surgery and if the results are not what you were promised they would be, the plastic surgeon may be held financially liable. If their treatment of you resulted in an injury, the plastic surgeon may be sued for medical malpractice. However, if you did not sustain any injuries, and if you are simply unhappy with the final result, you may still have a case. 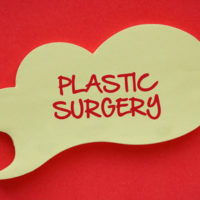 Though “breach of contract” and “breach of warranty” typically apply to business situations and consumer products, you may be able to sue your plastic surgeon for either. When a patient and plastic surgeon agree on a course of treatment, a contract is created, even if nothing is put down in writing. If the plastic surgeon fails to perform the promised quality of work, it may be considered a breach of contract. If you hope to sue for breach of contract, you must be able to prove that the cosmetic surgeon used the wrong size or type of implant than initially agreed upon, or that the doctor somehow deviated from your initial request. If you do win a case based on breach of contract, you will only be able to recover economic damages. Compensation for pain and suffering, or for loss of a normal life, may not be available. If a plastic surgeon enters into a relationship with a patient on the premise that they will obtain certain results for the patient, they have essentially created a warranty of performance. In order to sue for breach of warranty for plastic surgery gone awry, the doctor must have promised measurable results. Promises of “You will look your best post-surgery,” or “We offer the best results” do not classify as warranties. However, if the doctor promised that they would achieve a certain size, shape, or even resemblance of a celebrity, and the results were completely off-base from the original promise, you could hold the doctor liable for failing to meet their promise. Medical malpractice can be difficult to prove, especially in cases of plastic surgery gone wrong. In order to achieve the best possible outcome to your case, allow a Miami personal injury lawyer to advocate on your behalf. The lawyers at The Pendas Law Firm understand what it takes to build a strong personal injury case, and will make sure that you receive the compensation you deserve after a cosmetic surgeon fails to provide the quality of work they promised you. To consult with a Miami personal injury lawyer today, call 1-888-LPENDAS, or go online to schedule a private consultation. The Pendas Law Firm also serves clients in the Tampa, Fort Lauderdale, Orlando, Fort Myers, West Palm Beach, Daytona, Bradenton, and Jacksonville areas.